The African grey parrot (Psittacus erithacus) is an Old World parrot in the family Psittacidae. There are two known sub-species of the African grey parrot. African grey parrot is considered as the most intelligent smartest talking parrot in the world. Most notably, Dr Irene Pepperberg's work with Alex the parrot showed his ability to learn over 100 words, differentiating between objects, colors, materials, and shapes. They are endemic to the rain forests of West and Central Africa. African grey parrots are known for their better understanding and imitation of human speech. Like other talking birds African grey parrots also have a tendency to get attached to only one person. The parrot’s relationship with the owner is the most important thing that shape its talking ability. Treating African grey parrots while teaching will help to improve their talking ability much faster. They also learn different kinds of voices from the surrounding. They are intelligent enough to mimic different sounds to fool the predators. The budgerigar also known as common pet parakeet or shell parakeet and the budgie, is a small, long-tailed, seed-eating parrot. 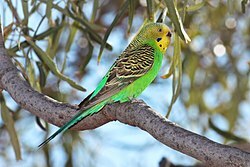 Budgerigars are the only species in the Australian genus Melopsittacus, and are found wild throughout the drier parts of Australia where the species has survived harsh inland conditions for the last five million years. Budgerigars are popular pets around the world due to their small size, low cost, and ability to mimic human speech. The smartest social bird has capability for large vocabularies. Not all birds of this species have got such great potential but some can learn 300-500 words and sentences. Puck, a male budgerigar owned by American Camille Jordan, holds the world record for the largest vocabulary of any bird, at 1,728 words. They have a tendency to imitate the words that have repeatedly heard from the owner. 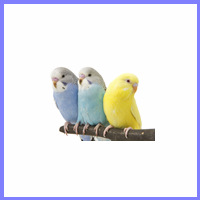 Both male and female budgerigars have skill to imitate human speech. But male birds seem to be better at talking more words in the right tone. The yellow-naped amazon or yellow-naped parrot (Amazona auropalliata) is an amazon parrot sometimes considered to be a subspecies of yellow-crowned amazon. The yellow-naped amazon is another talented talking bird of the amazon parrots family. They are known for contextualize human speech. The parrots have the power to copy wide range of words and imitate them in excellent quality. Yellow-naped amazons will start to talk from younger age itself. They learn most of words and phrases from their owners. Yellow-naped amazons usually bond with only one human. Yellow-naped amazons are highly sought after for their talking ability and playful personalities. They are also known for nest-protective behaviors that often lead them to bite. So the interaction between the owner and pet is the most important factor that defines the talking ability of the parrot. Yello-naped amazons also good at repeating the songs they hear around them. The eclectus parrot (Eclectus roratus) is a parrot native to the Solomon Islands, Sumba, New Guinea and nearby islands, northeastern Australia and the Maluku Islands. It is unusual in the parrot family for its extreme sexual dimorphism of the colours of the plumage; the male having a mostly bright emerald green plumage and the female a mostly bright red and purple/blue plumage. The eclectus parrots native to New Guinea islands are known for their clarity of speech and vocabulary. Eclectus parrots copy most of the words hear around them and mimic them in high quality. Some parrots can even learn and sing entire song. They not only mimic human speech but also every attractive sounds they hear from the surroundings. In that way Eclectus parrots can even fool their owners. They repeat the words they learnt at right situations. Both male and female eclectus parrots also make charming and melodious voices. Indian rose-ringed parakeet originates from the southern Indian subcontinent and has feral and naturalized populations worldwide. In Australia, Great Britain, the United States, and other western countries, it is often referred to as the Indian ring neck parrot. Indian ring parakeet is one of the outstanding talking birds in the species of parrot. They can learn 200-250 words. The ability to mimic the human voice also differs between parrots. It merely depends upon the frequency of interaction with the owner. The Indian ring parakeets usually try to copy the human voice from the surroundings. They can also catch up words by hearing music. Indian ring parakeet’s ability to mimic human speech also meet exceptional quality. The pretty intelligent social bird also regarded as one of the best companion of human. The monk parakeet (Myiopsitta monachus), also known as the quaker parrot, is a small, bright-green parrot with a greyish breast and greenish-yellow abdomen. It originates from the temperate to subtropical areas of Argentina and the surrounding countries in South America. Self-sustaining feral populations occur in many places, mainly in North America and Europe. Like other talking birds monk parakeets also requite care and proper training to mimic the human voice. They will learn and imitate the words they hear repeatedly from the trainer. A well socialized monk parakeet parrot also able to use the words that they learned at right situations. It becomes practical only if the trainer associate right actions or emotions with words while teaching. The social bird also mimics other sounds they hear from the surroundings. The common hill myna (Gracula religiosa), sometimes spelled "mynah" and formerly simply known as hill myna, is the myna most commonly seen in aviculture, resident in hill regions of South Asia and Southeast Asia. Hill mynas are one the best talking birds in the word, found across Southeast Asia. They are better known for their ability to mimic human voice in exact tone. Hill mynas also produce wide ranges of whistles, wails and screeches. The great Indian hill and common hill myna are the two main species of hill mynas. These two species have more talking power than other mynas. They can mimic human speech in same tone and quality. Some other species of hill myna like Southern hill mynas also have talking ability but never become so clear like great Indian hill or common hill myna. Cockatoo is a parrot that is any of the 21 species belonging to the bird family Cacatuidae, the only family in the superfamily Cacatuoidea. Cockatoos are extremely social bird that possess better talking ability. Cockatoos can imitate a wide range of sounds. But their talking ability entirely depends upon training given by humans. There are different species of cockatoos in the world. Upon them rose-breasted cockatoo, yellow crested cockatoo and long-billed cockatoo are better talkers. Cockatoos need special care from their owner for a healthy life and to learn speaking. They have a tendency to copy the words that are repeated by the owners regularly. Cockatoos can easily mimic the words that are associated with their habits. The change in tone will definitely make difficulty in learning of speaking for cockatoos. The yellow-crowned amazon or yellow-crowned parrot (Amazona ochrocephala), is a species of parrot, native to the tropical South America and Panama. It is a bird of tropical forest (both humid and dry), woodland, mangroves, savanna and may also be found on cultivated land and suburban areas. In the southern part of its range, it is rarely found far from the Amazon rainforest. The playful and affectionate yellow-crowned amazon parrots are found in the rain forests of South and North America. They are one of excellent talkers of the amazon parrots family. Some parrots of this species become excellent talkers and some never talk. The ability to talk merely depends upon different factors like environment they live and frequency of interaction with humans. They are also known for their loud voice and live for more than 60 years. The blue-fronted amazon (Amazona aestiva), also called the turquoise-fronted amazon and blue-fronted parrot, is a South American species of amazon parrot and one of the most common amazon parrots kept in captivity as a pet or companion parrot. Its common name is derived from the distinctive blue marking on its head just above its beak. Blue-fronted amazon is a popular pet and taking bird native to South America, named after distinctive blue marking on their head. They need interaction from human to learn talking. The talking ability of the beautiful parrot species also varies with the quality of training. Blue-fronted amazons have a tendency to bond with only one person. They mimic human voice only if they socialized in the right form. They can talk for hours and love singing in sweet sound. Blue-fronted amazon also play with toys for a long time.